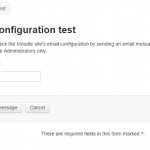 From Moodle 2.6 to 3.1 – What’s New? 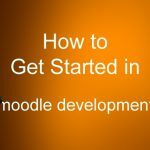 Wondering if it is worth upgrading your installation of Moodle? The following is a list of some of the new features and enhancements which are included in the latest version of Moodle 3.1. If you are using an older version than Moodle 2.6, you will see even more benefits. 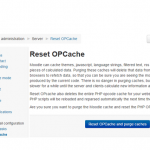 Running Moodle 2.7 or newer? You may already have noticed some of the new features included in the list below. These changes will not only improve your e-learner’s experience but also make management of Moodle easier than ever. Note: This article is also available for download as a PDF file (0.6 MB) - From Moodle 2.6 to 3.1 - What's New. 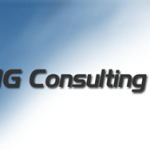 If you would like to learn more about how we can help you and your e-learning team, please contact us at www.tngconsulting.ca. Many critical security fixes and important improvements. New upgrade key lets you authenticate only some administrators to perform upgrades. New ability to create Competency Frameworks. Competency based education is now fully supported. Create customised Learning Paths with enhanced Conditional Activities. New Learning Plan templates can be applied to individuals or whole cohorts. Global search (requires Apache Solr). It is now possible to delete an entire course section anywhere on the course page. You can now make any members of your organization the key-holder to self-enrolled course. Teachers can now tag courses and activities to make it easier to find related content. Tags can also be combined and grouped into collections. You can now publish selected course and activities as remote LTI courses. Grades are sent back to the remove system. Search for meta-linked courses and add them together in a single step. Improvements in the areas of Choice module, Chat module, Survey module, ability to search for and self-enrol in courses. Improved event system and logging. Improved logging for better reporting. New 'Grades' page for students can display all their grades from all courses. The Bootstrap Base theme is now the default in Moodle which means it should be easier to implement new themes based on the WCAG 2.0 Level AA compliant WET-BOEW 4.0 framework (which is also based on Bootstrap). New template library for theme developers. Create cohorts by uploading a CSV file. New 'All cohorts' screen for administrators. Faster addition of cohorts and metalinked courses. Ability to login using your email address. 'My Home' is now 'Dashboard'. New ability to specify the default blocks that will appear on the Dashboard and Profile pages. New 'Profile' page with quick links to profile, course details, forum posts, badges, reports and more. New 'My active sessions' page allows you to check to see if you forgot to logout from a different computer and log it out. New 'Preferences' page provides quick access to user account settings, portfolios, blogs badges and more. Improved filtering options on Enrolled users screen. Email to private files repository. Search file system and server files, allowing easy location of file in other courses you have access to. You can now display the date a file resource was uploaded or changed. Atto, the new Moodle WYSIWYG editor is now more accessible. This improvement will also make several other activity modules that use the editor more accessible. It now has the ability to add and configure tables. You can now drag and drop into Atto. Improved Assignment features, easier grading of assignments, download of assignment for off-line viewing. Teachers can now attach files for students when setting up assignments. Assignment file conversion allows teachers to annotate directly on uploaded submission of different file types, not just PDF (requires unoconv 07). Choice module now supports selection of multiple choices. Database module now supports displaying of pictures and setting certain fields to 'required'. Importing glossary entries will now include images and attachments. Users can now bulk download files as a single ZIP file when a folder resource contains many files. Ability to add custom file types. Ability to pin posts to the top of the list in the forums. 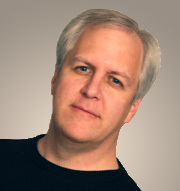 Ability to subscribe to individual discussions in forums. 'Like' rating for forum posts. Better navigation through forum threads. Reply to forum posts by email, including optional attachments. Display of Permalink making it easier to share and reference specific posts in the forums. Easily posts to all groups in a forum. Lessons enhancements such as group support, user and group overrides, logging, essay grading interface and 'Required time spent'. New Recycle bin to restore accidentally deleted courses. You can now set default lesson settings. Easily create and manage Quiz & Question bank. Improved Quiz edit screen and completion settings. Quizzes can how have section heading and questions can be shuffled on different pages. You can also make certain questions a prerequisite before allowing student to move on to the next question. Improved support for printing quizzes, responses and feedback. Ability to display quiz results in a competitive league table style including a new activity results block which shows scores from graded or rated activities in your course. New 'Select missing word', 'Drag and drop into text', 'Drag and drop into image' and 'Drag and drop markers' question type (may not be accessible). You can now specify the type of file you want students to submit in the Workshop module. Students can now also delete their own submissions. Improved scheduled task management means better stability on large/busy sites. There are also many new 3rd party plugins available for Moodle 3.1 which you may find useful in enhancing your learners experience and making the management of Moodle easier. 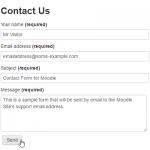 Remember, these are just some of the more noteworthy enhancements available in Moodle 3.1.1. There are many additional smaller changes and fixes included in this latest release.